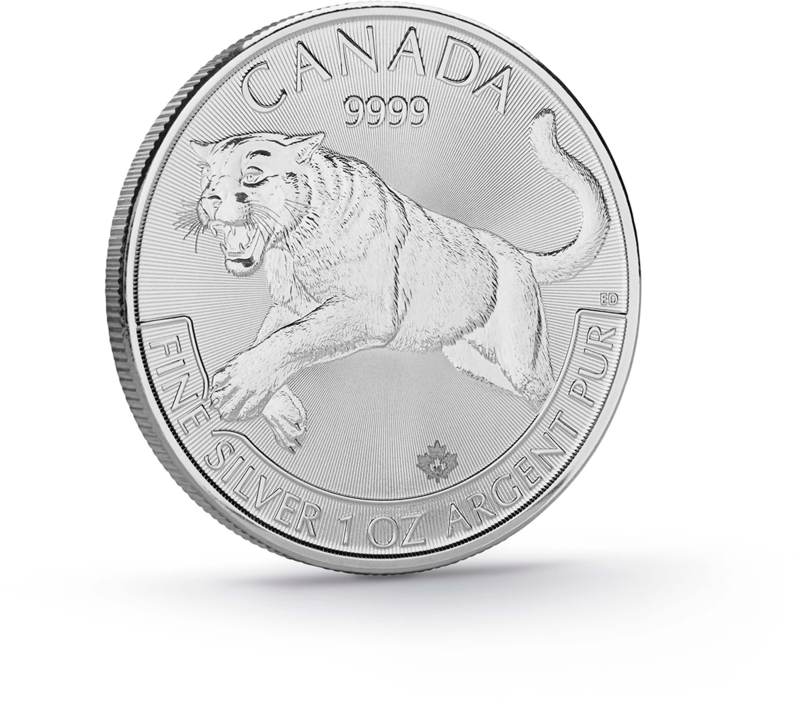 Introducing the 2016 $5 silver coin from the popular Predator Series: Cougar Few sights in nature are more awe-inspiring than a cougar running at full speed, about to attack its prey. 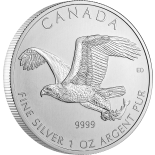 Masterfully crafted by Royal Canadian Mint engravers, this stunning coin captures that moment in exquisite detail. 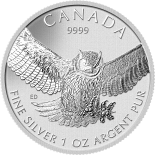 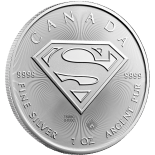 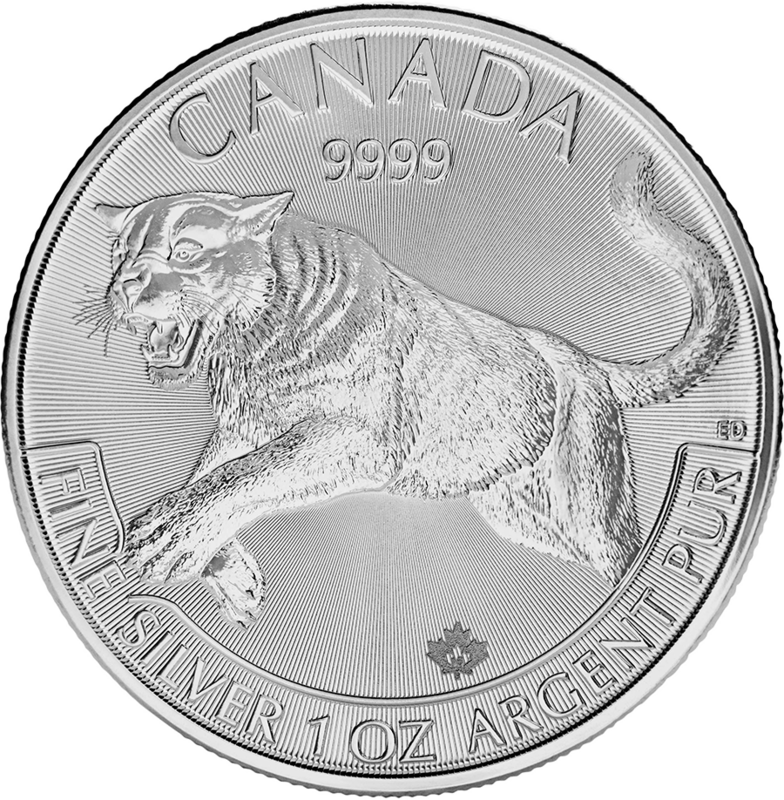 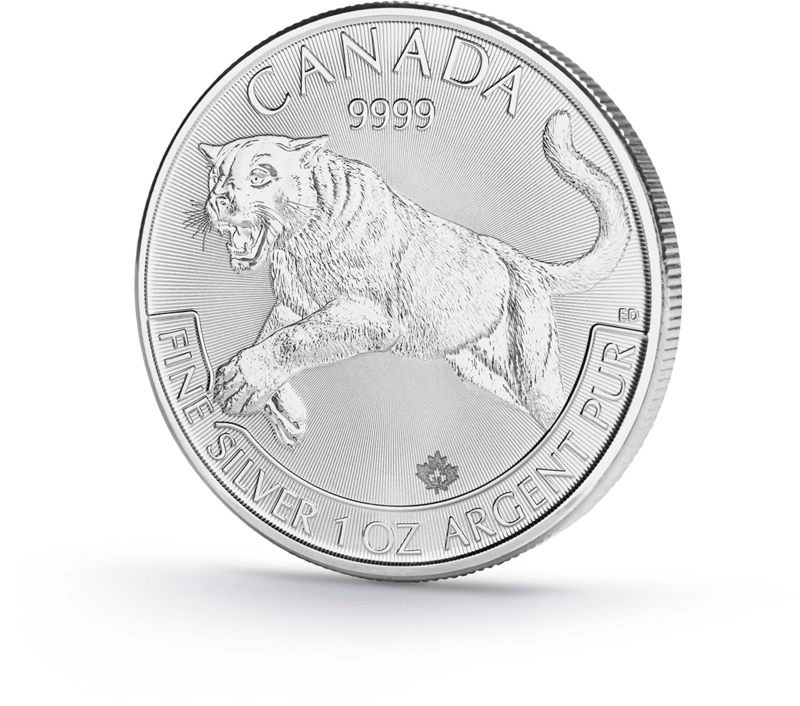 A legal-tender one-ounce silver coin reﬁned to 99.99% purity, this is the ﬁrst issue in an exciting four-coin series showcasing Canadian predators. 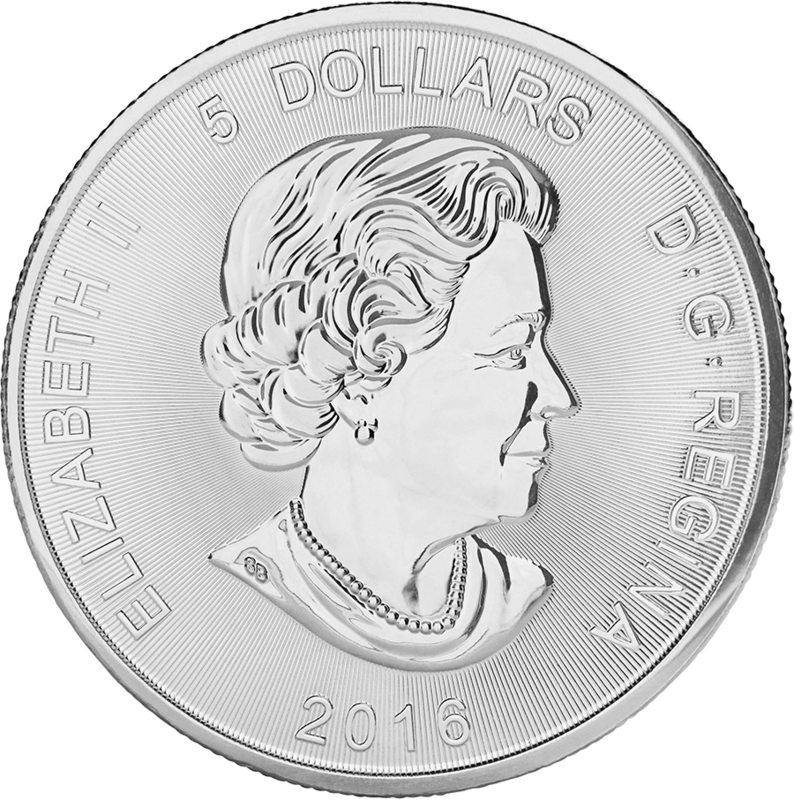 Its security features include a micro-engraved maple leaf laser mark and a precisely engraved radial line pattern.